How often do you use Daraz Nepal for shopping? If you are a frequent online shopper, someone who loves to ride two-wheelers, and ever wished that Daraz would sell two-wheelers on its platform, then there’s good news for you. 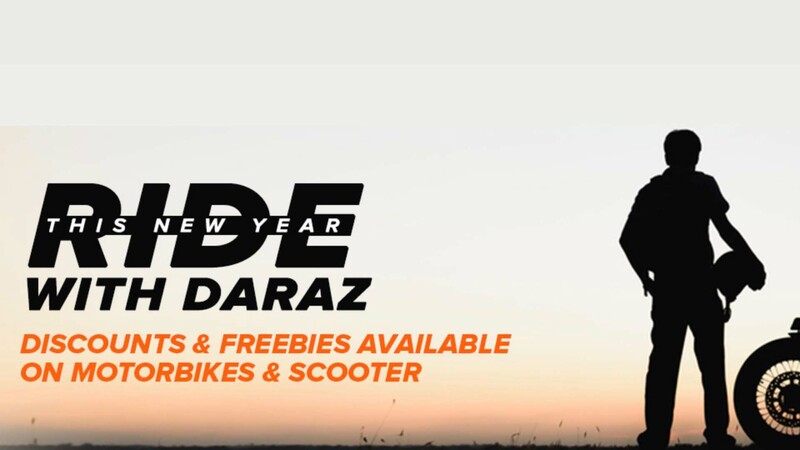 As a part of New Year offer, Daraz is now selling two-wheelers online in Nepal. Initially, the e-commerce site is selling bikes and scooters from TVS and NIU with discounts and freebies online — including Rs. 10,000 discounts on TVS bikes. All you need to do is visit TVS and NIU stores on Daraz. Bear in mind though as the items are available for people residing inside Kathmandu valley can only. Again, the Daraz Shake Shake campaign is ending today, so you might want to buy them within this campaign for more discounts and offers. How to secure your deal on Daraz after checkout? Once the order is placed, you’ll be called by the ‘Customer Care’ team of Daraz for verification. Similarly, the customer care team will provide you with the Daraz banking details for your deposit. You need to make the full deposit(after discount, if any) in Daraz’s account within 2 working days. After your full payment is confirmed, you should receive an order confirmation via email/SMS. Then you need to visit the respective bike showroom(details are provided by the customer care team) and show you citizenship card or driving license for verification as well as your Daraz order number. Once the verification gets done, you can take your bike home. Also, starting from Baisakh 1, 2076, users can use their debit or credit card from any banks in Nepal to purchase any products from Daraz Online Shopping.